Online nursing courses for Registered Nurses - RN's are designed to equip practicing registered nurses only with the knowledge and skills that can enhance their practice as professional nurses. Working registered nurses can enroll in these flexible online courses without having to compromise their work. Pre requisites: Course is restricted to Canadian Nurses registered under the general class with College of Nurses in your province, in good standing with your College of Nurses, proof of completion of a nursing diploma program course transcript in Canada or degree in nursing. For US Nurses: Licensed as registered nurses by the American College of Nurses, in good standing with your College of Nurses, Nursing Diploma course transcripts, and completion of a diploma or a degree program in nursing . RN Online nursing courses are competency-based designed specifically for post licensure registered diploma nurse for the degree nurse in Canada and the licensed practicing nurse in the United States. These courses support the learning needs of professional nurses as they strive to provide high-quality, evidence-based, and patient-centered care in an increasingly complex health care system. It builds on the RN’s skills and experience integrating professional development, critical thinking, quality improvement, and inter professional leadership skills. 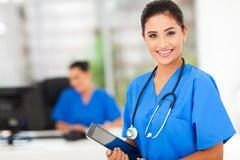 Each RN Online Course duration is 8 weeks, each courses are taken individually or in a cluster. Course credits will be granted upon completion and passing of each online course module. This online course focuses on principles of medication admninistraion, methods of caculation, oral, enteral, parenteral, medication administration, insulin, infusion, intravenous therapy. 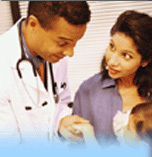 Crital care, pediatric, oncology, and labour and delivery calculation will be included. Health assessment assists the nursing student in development of skills in history taking, assessment, as well as in physical examination and psychosocial assessment. The collection of data through these skills is the first step in the nurse process, the data are used as the basis of nursing diagnoses and the nursing process in providing interventions to promote health, prevent illness or manage illness and disease from various systems of the body. The course explores the concepts of health promotion and the application of health promotion concepts to nursing practice to enable the client to control and improve health outcomes. While focusing on the methodology critical to developing a plan of care for clients, students will learn the rationale and techniques for utilizing specific assessment tools, analysis of assessment data, selection of lifespan appropriate interventions, implementation of interventions, and measurement of resulting outcomes. Content will be focused on cultural diversity, disparity in health care and social determinants that impact the client's plan of care and resulting approaches for promoting a healthier society. The use of technology and health promotion research will be explored and applied to nursing practice. This course provides a study of variations in physiologic functioning and alterations in physiologic response of body systems. The course addresses physiologic changes that will help identify alterations in body systems and their relationship to the patient's state of health. Topics include altered cell functioning, genetic disorders, risk factors, health promotion, and disease prevention. This course provides a study of pharmacologic principles as they relate to nursing. Medications are addressed, by classification, through the integration of pathophysiological indications for use, the anticipated side effects, and the impact on the health of the individual. Specific instruction is provided regarding the safety of medication administration, principles of risk reduction, and patient/family teaching across the lifespan. The course explores evidence-based practice as a foundation for improved nursing practice and patient outcomes. Students will learn the history of evidence-based practice and the significant research methodologies that serve as its foundation. Students will explore the rationale for evidence-based practice and learn how to form research questions, hypotheses, and research methodologies. They will also learn about population sampling, data collection tools, and statistical analysis. Students will learn how to determine whether research is credible through the criticism of research articles, and they will be introduced to potential ethical concerns in the development of research and evidence-based practice. Emphasis will be placed on student-centered learning that will give students the opportunity to implement what they learn during the course into their nursing practice, regardless of specialty.